There are many gorgeous places around the world, and the beauty of these places is recognized by all human beings around the world. Yet, there still are hundreds of stunning places that don’t always get the recognition that they deserve. Northern Virginia is one such place, and although it has its cons, it also has a long list of pros. Many newly-wedded couples are constantly in search of locations to settle down and raise a family in. Many of them find that they are lost when they consider which locality is worth relocating to. However, any country or city across the globe has its benefits and its disadvantages as well. In the case of Northern Virginia, there are a lot of reasons which make it the ideal place to raise a family. 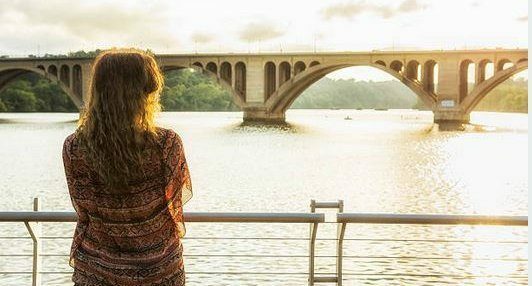 No matter what area you pick Alexandria, Arlington, Falls Church, Fairfax or another Northern VA area there are some fantastic reasons to call Virginia your home. You may have heard this before, because Northern Virginia is known popularly for the fact that they have all four seasons. Unlike other parts of America and around the world, the people of Northern Virginia don’t have to deal with the problem of having too long a summer or winter. This is because Virginia is located on the eastern coast. Thus, if you want to enjoy a great autumn, spring, summer and winter, Northern Virginia is the ideal destination. The economy of Northern Virginia is exceptionally strong, despite the fact that the economy in other parts of the United States is struggling. The main reason behind the strength of the economy in the locality is that the rate of employment is high within D.C. Metro. Even the real estate market in the region is constantly booming, despite facing some setbacks in the past. So, if you do choose to settle and raise a family in Northern Virginia, you won’t have to worry about financial difficulties in the near future. Most often than not, young couples constantly stress about whether the destination of their choice will be able to fulfill their medical requirements or not. In Northern Virginia, this is certainly not a problem due to the high amount of medical facilities available in the region. Not only does the city have hospitals and healthcare facilities for adults, it also is home to many children’s hospitals and other treatment centers to ease your worries. Sports are taken very seriously within Virginia due to the fact that it is a home ground to many brilliant sports teams such as Redskins, Washington Wizards, Washington Capitals, Baltimore and Washington Nationals. When you’re deciding on a location to settle down and raise a family in, recreational activities play a huge role in the final decision, because everyone needs a great pastime activity, for themselves and for their children too.